A Chicago Bulls-inspired colorway of the Air Jordan 13 is set to make a comeback and is already creating a lot of positive vibes from Jordan Brand followers. 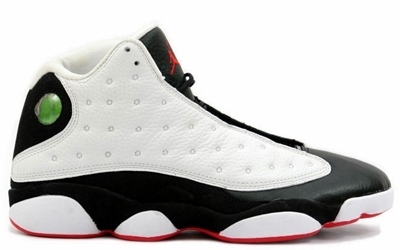 The White / Black – Varsity Red colorway of the Air Jordan 13, which was last seen in 2007, will be returning to the market next year as part of the growing lineup of Jordan Brand shoes for 2013 that has already been unveiled. This silhouette features a white/black leather construction on the upper part and still has the famous green hologram on the Jumpman branding. Stay tuned for more info about the much-anticipated kick!